Tamar tries to make rent payments as convenient as possible. There are a number of ways to pay, but you should remember that you need to pay your rent weekly or monthly in advance. Most residents will get an Allpay payment card. You can use this in a variety of ways to make a payment. Your AllPay card allows you to make payments by phone. You can phone the automated line any time of the day or night. 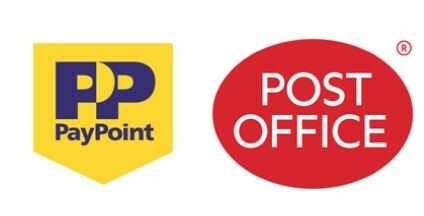 You can take your AllPay card to any PayPoint or Post Office to make a payment. You can pay your rent by Direct Debit weekly, fortnightly or monthly. For monthly payments you can make a payment on any day of the month. If you want to set up a Direct Debit just call 01752 250902 and we'll send you a form. To pay by standing Order just call our office on 01752 250902 and we'll send you a form. You can download the free AllPay app at most app stores. Once you register, you will be able to pay using the app at any time. You can pay by clicking on the Quick Link on the right or go to www.allpayments.net and follow the step by step guide. If you have a debit or credit card you can pay by phoning our offices on 01752 250 902. You can pay with cash, cheque or debit card at our offices, which are open from 9am to 5pm each weekday.